Directions: east on Highway 198 to Three Rivers. Turn left on North Fork Drive (just before Anne Lang’s Emporium).The Arts Center is the first building on the left after crossing the bridge over Kaweah River. 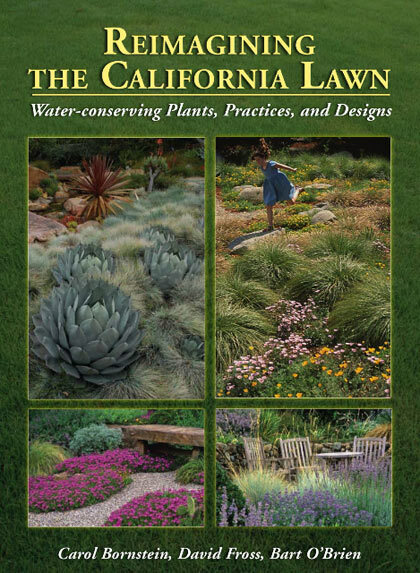 Bart O’Brien is one of the authors of Reimagining the California Lawn, along with Carol Bornstein and David Fross. 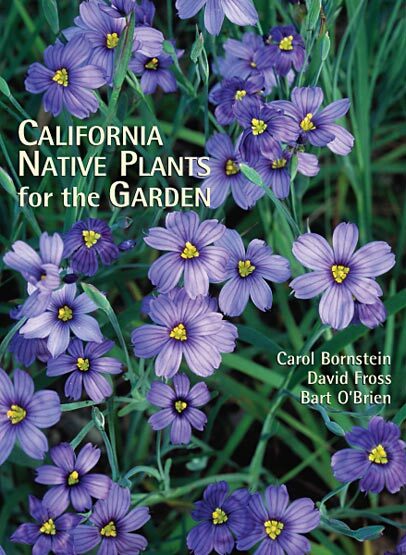 They are visionary horticulturalists, who also wrote the award-winning book California Native Plants for the Garden. In this program, he will share his passion for water-wise plants and landscapes to help us discover the many possibilities and pleasures that come with reimagining our California lawn and garden. 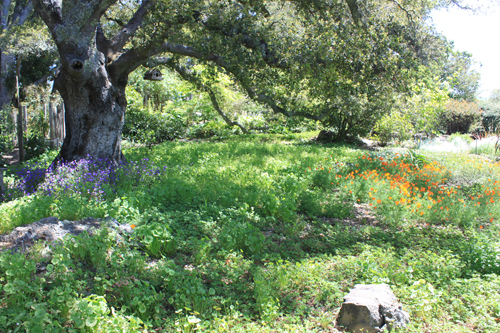 This talk will cover the basics of gardening with California native plants (What is a California native plant? Why should I be interested in growing these plants? Why are these plants different from the usual plants found in nurseries?) as well as providing examples of some of the most beautiful and useful native plants from some of our best gardens and landscapes. These spectacular plants are then showcased through the prism of our five senses: touch, smell, sight, taste, and sound. Bart O’Brien is Director of Special Projects at Rancho Santa Ana Botanic Garden (RSABG) in Claremont an educational institution dedicated to research, conservation, and horticulture of California. A fifth generation Californian, he is an authority on the native flora of the state and of northern Baja California, Mexico and is an accomplished collector, grower, photographer, lecturer, and author. His most recent publication is a 514 page edit of a Percy Everett manuscript which was completed and published online earlier this year (2012) and is titled Second Summary of the Horticulture and Propagation of California Native Plants at the Rancho Santa Ana Botanic Garden 1950-1970. Bart’s ongoing work with the rivers of Los Angeles County resulted in the collaborative publication of the Los Angeles River Master Plan Landscaping Guidelines and Plant Palettes for the Los Angeles County Department of Public Works in 2004, and his Plant Lists for the San Gabriel River Watershed for the Rivers and Mountains Conservancy in 2007. Bart was named Horticulturist of the Year in 2005 by the Southern California Horticultural Society. O’Brien was listed as one of “The 100 Most Powerful People in Southern California” by the editorial staff of the Los Angeles Times/West Magazine (Aug. 13, 2006). Bart was also editor of Fremontia, the journal of CNPS, from 2006 to 2009. • Leading the rare, endangered, and endemic vascular plants of northwestern Baja California, Mexico project (primarily funded by the Jiji Foundation; The project cooperators are: José Delgadillo Rodriquez, Facultad de Ciencias, Universidad Autónoma de Baja California, Ensenada, Mexico; Steve Junak, Herbarium Curator, Santa Barbara Botanic Garden, Santa Barbara; Thomas Oberbauer, Chief Land Use Planner, San Diego County Department of Planning and Land Use, San Diego; Jon Rebman, Curator of Botany, San Diego Museum of Natural History, San Diego; Hugo Riemann, Departamento de Estudios Urbanos y del Medio Ambiente, El Colegio de la Frontera Norte, Tijuana, Mexico; and Sula Vanderplank, Herbarium Collections Manager, Rancho Santa Ana Botanic Garden, Claremont). • Co-curating (with John Wickham of the Theodore Payne Foundation, Carolyn Bennett, and Kitty Connolly of The Huntington) the exhibit When They Were Wild of California native plant folk art at The Huntington’s Boone Gallery in the spring of 2013. Melanie will lead a tour of the Ash Mountain Native Plant Restoration Nursery facilities and give a talk on restoration projects within the Parks. Bring a sack lunch, water and hat for lunch along the Middle Fork of the Kaweah River. The nursery is at an elevation of about 1700′, and the tour involves a short, slow, mild walk on roads and gravel (not handicapped accessible). For lunch along the river, we will walk down a gentle 1/4 mile zig-zag trail that drops down about 300 feet. Most any ambulatory individual can make this short walk, taken at one’s own pace. Directions: take Hwy 198 to Three Rivers, meet in the parking lot of the Three Rivers Memorial Building on the right hand side of the highway at 9:30 am. Please bring your Park Pass if you have one. We will carpool to the Ash Mountain Visitors Center, a short distance past the Park entrance station. , Forest Planner for the Sequoia National Forest and Giant Sequoia National Monument in Porterville. Originally from Vegas de Itata, province of Concepcion in southern Chile, for the last 30 plus years Ulloa has travelled back and forth to visit her family. 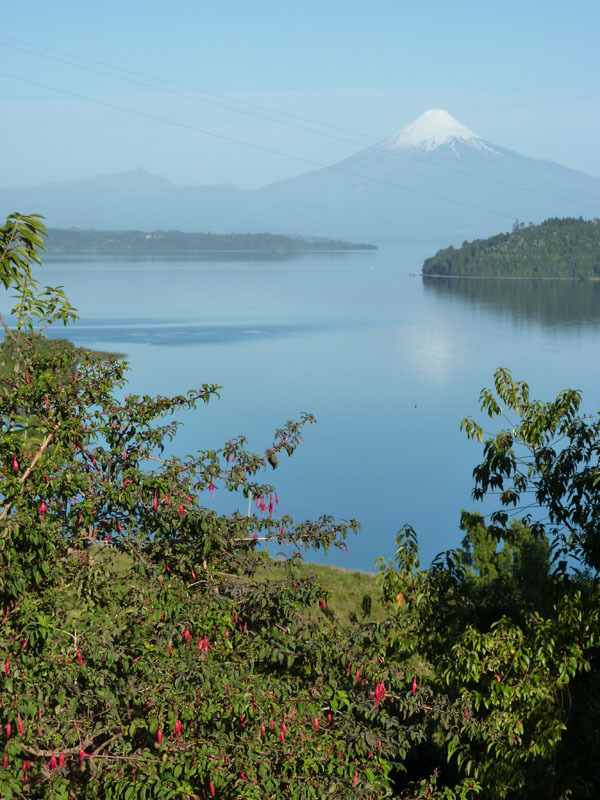 Each trip has been an opportunity to explore the countryside and its beautiful native flora and fauna. Most photographs have been taken from Concepcion to Punta Arenas and Santiago to Valparaiso. Chile is a long and narrow country on the southwest coast of South America and extends for approximately 2,800 miles (4,300 km) from north to south. It is bounded on the west by the Pacific Ocean and on the east by the Andes Mountains. Central Chile has a Mediterranean climate with an extremely dry desert in the north (Atacama), a rainforest landscape to the south (Lakes Region), colder climate at the Strait of Magellan, and ice in Antarctica. Continental Chile is isolated biologically on the north by the Atacama Desert, to the east by the Andes, to the west by the Pacific Ocean, and Antarctica to the south. Chile has 7 distinct climates that contain diverse vegetation types, including hyper arid desert, summer-dry scrublands (chaparral), the dry cold Puna of the high Andes, temperate rainforest in the Lakes Region, and Patagonian steppe in the Austral Region (Strait of Magellan). The Chilean flora includes about 5,082 species of vascular plants. Of these, 2,561 are endemic to Chile. High endemism is due to the presence of habitats with distinctively different conditions where plants cannot migrate from one location to another and are forced to evolve independently within that particular habitat. The meeting will be held at the Conference Room in the Student Center at Porterville College. Directions: take the College exit off of Hwy 190, after entering into the College, park towards the western end of the lot, and there will be a sign to the Student Center building. 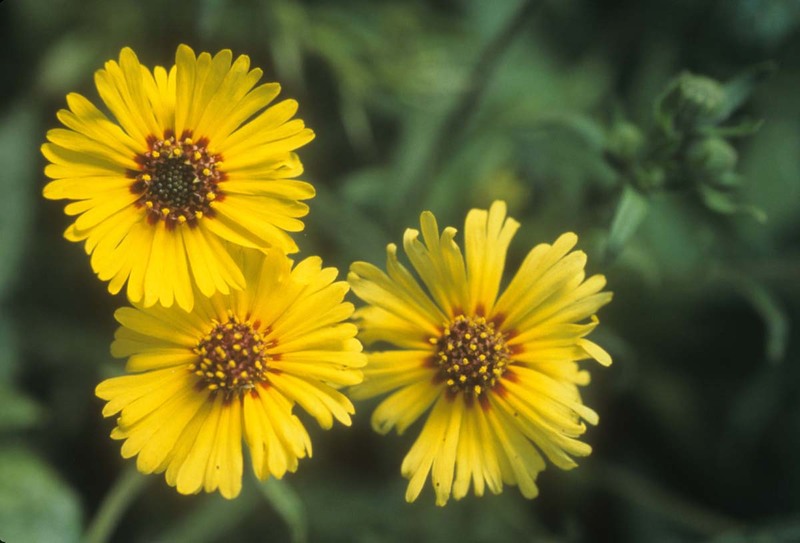 The Alta Peak Chapter will have its annual Native Plant Sale at the Three Rivers Arts Center on October 1, 2011, from 9 am to 1 pm. The Plant Sale will be in the backyard of the Arts Center, where it has been held for many years. Chapter members can pre-order plants at a 10% discount using the plant order form recently mailed out with the Fall Chapter Newsletter. If you need an extra form, you can download a pdf file here. The deadline for submitting a pre-order is September 19, 2011. Call Janet Fanning at 559-561-3461 for more information. The Fall Program will also be held on October 1, 2011, at 2 pm inside the Arts Center. Melanie Keeley, the Restoration Horticulturalist for Sequoia National Park will speak on “Planning, Planting and Maintaining your Native Landscape for Fire Safety”. 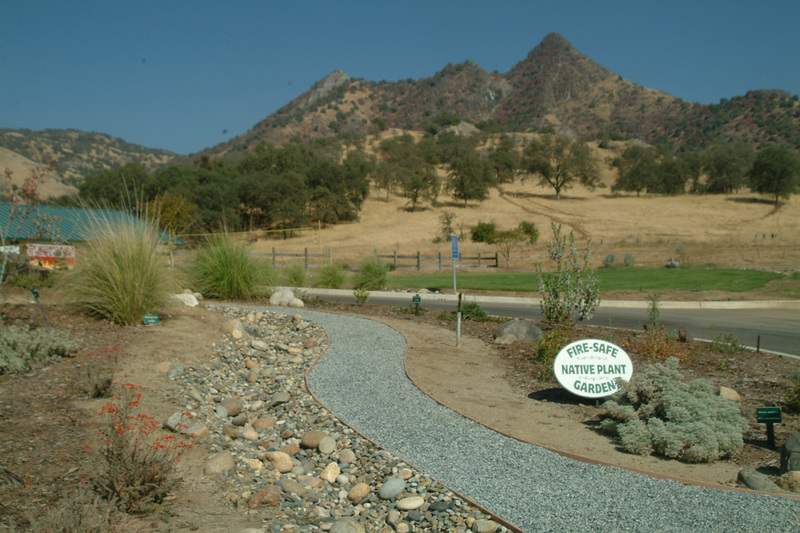 Having a fire-safe landscape is a responsibility that comes with living in the hot, arid foothill regions of California. While it is true that the life cycle of some California native plants are adapted to fire, it is important to retain, but manage native vegetation. These plants perform essential functions such as watershed protection, slope stabilization, wildlife food and cover, as well as give unique character and beauty to the foothills of the Sierra Nevada. Proper maintenance in mature gardens and sound planning of new plantings can reduce the risk of fire not only to our own properties, but those of our neighbors. at the Cal Fire Station in Three Rivers. The 5th Annual Green Faire will be held inside the Arts Center, organized by the group that puts together the Three Rivers Environmental Weekend (TREW), that calls themselves the TREW Crew. Our Chapter program is combined with an all day open house at the Cal Natives Nursery in Porterville. As part of our recognition of California Native Plant Week, a new annual observance Resolved by the Assembly of the State of California for the third week of April, Cathy Capone will open her native plant nursery and demonstration garden in Porterville for a CNPS tour, from 10:30-3 pm. This could serve as an introduction to how our local natives look in garden settings. The Chapter Program starts at 11 am, when Cathy will talk about how to mix native plants within an urban garden framework. 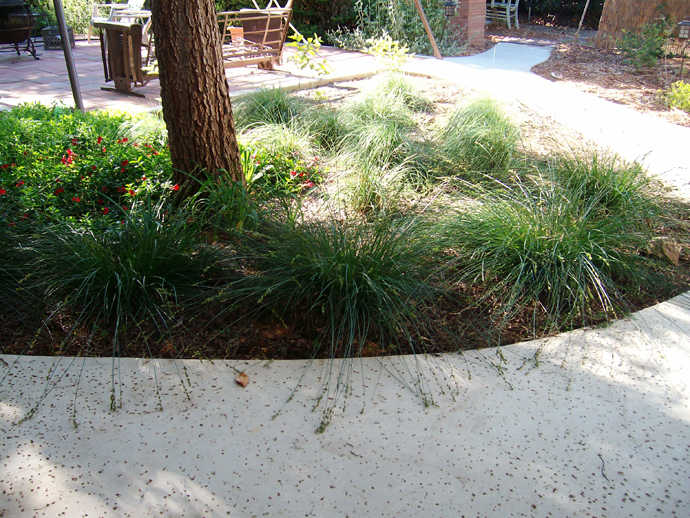 Using natives, as minimal to low water use plants, can create a wildlife friendly, low maintenance garden. Cathy will conclude her program with a guided tour of the nursery. She will be on hand all during the day to answer questions about growing and propagating native plants. Plants and CNPS books and posters will be available for sale. Bring a sack lunch and spend time with friends on the patio. Coffee, tea, and lemonade will be provided. Children are welcome, however, there isn’t a child safe play yard, so supervision is needed. Please park on the street, as there is limited on site parking. Traveling on Hwy 65 through Porterville, take Henderson Ave exit, turn left. Travel east on Henderson 1/4 mile, turn left on Indiana. Go 1/2 mile to the end of Indiana. Indiana stops at Westfield Avenue. House is directly across intersection, with white block fence and tall trees. Please park on the street. Call 559-361-9164 for more information. What’s Cooking in the Foothills 600 Years Ago? Starts at 2 pm at the Three Rivers Arts Center. Turn left on North Fork Drive, from Hwy 198. Arts Center is first building on the left. Have you ever wondered if you could survive without all the comforts you now enjoy? It is hard to imagine what life was like many years ago. Six hundred years ago the people in the Sierra Nevada Mountains and foothills lived a comfortable life. Historic evidence indicates that hunter-gatherers did about everything that farmers do. They probably didn’t work as hard. At this time the locals were tribes who each spoke a dialect of the Yokuts language and lived in the foothills of the Sierra Nevada. Their neighbors, the Monache, who lived higher in the mountains, were a cultural mix of Shoshone-Piute and Yokuts speakers. We will take a brief glimpse at their technology and lifestyle as recorded by ethnographers at the end of the 19th and early 20th centuries. Their technology was sophisticated and complex. The women’s skillful weaving ranks them among the best basket makers in the world. Their knowledge of plants was extensive and is useful to us today because native plants are better suited to our environment. In 1918 C. H. Merriam, a biologist, stated that everyone should be eating acorn because of its high nutritive value. John Muir often carried acorn bread on his tramps through the mountains because it was the most compact and nutritious food he had ever eaten. Besides acorns, the natives ate a wide variety of plant foods. We will look at how women prepared and stored plant foods and medicines. In addition, we will calculate the amount of plant material it would take to make a house, baby cradles and other items. While we cannot return to a hunter-gather way of life, we can appreciate the knowledge, ingenuity and technical skill that the Native Americans in the foothills and mountains displayed. *Speaker, Mary Gorden is a retired teacher who taught elementary and high school, in addition to college classes for teachers in history and archaeology. The class on Native Plants and Their Uses was the product of her research of early ethnographers in the San Joaquin Valley who recorded the culture of the Native Americans. Mary also worked as an archaeological assistant for the California Department of Forestry and Fire Protection. She is particularly interested in San Joaquin Valley Yokuts’ cultures and the conservation of historic and prehistoric sites in the Sierra Nevada Mountains and foothills. 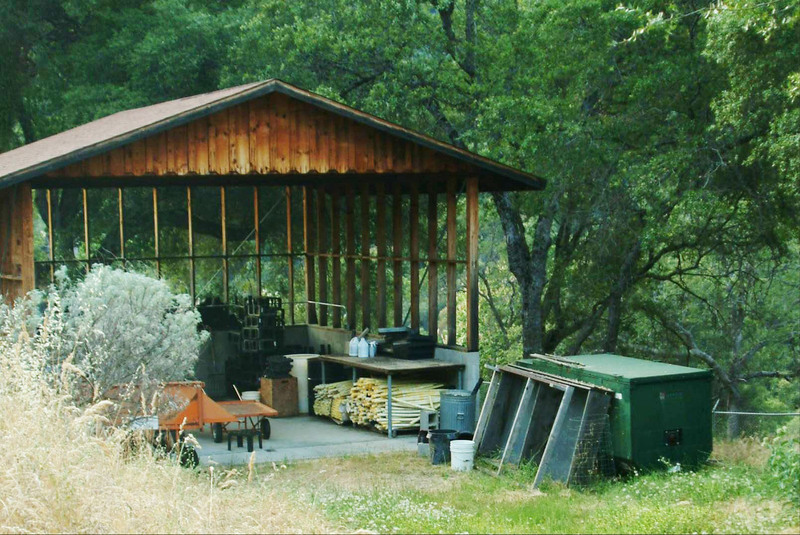 One project was the restoration of one of Shorty Lovelace’s cabins in the Sierra National Forest. Mary has been active in volunteer site monitoring and recording in conjunction with the South Sierra Archaeology Society. She has served three terms on the Bureau of Land Management Regional Resource Advisory Committee as the representative for historical and archaeological interests. She is a recipient of the President’s award for volunteer contributions to the Bureau of Land Management. She is active in the Tulare County Citizens for Responsible Growth. This program is held in conjunction with the Green Faire, part of the Three Rivers Environmental Weekend. The National American Indian Museum is part of the Smithsonian, also on facebook. 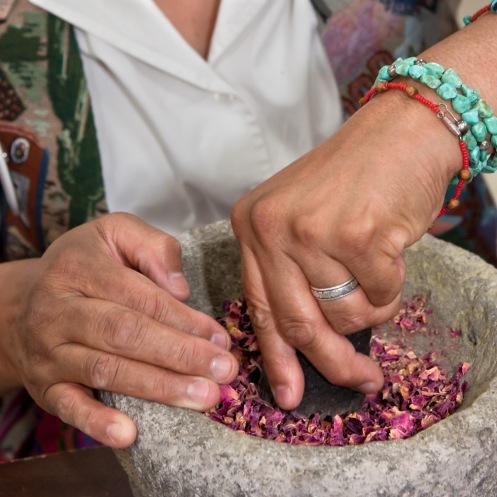 Grinding rose petals and rose hips to make a tea, from article about Native Plants for Food and Medicine Class.